Woo Hoo! Even if I say so myself, a 15 year anniversary is quite an achievement for a small business! I am extremely proud of starting this venture from scratch from a desire to help others by creating a better space whether they want to sell, stay or simplify! 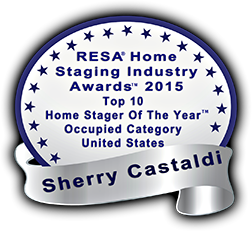 NEW Online “Shop the Look” Room Makeovers and Certified Expert E-Designer! 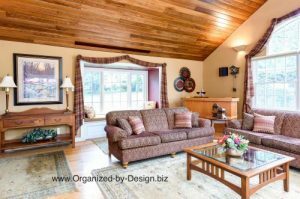 I’m very excited to announce that I have added Certified Expert E-Designer designation to my credentials at Organized by Design along with a new Online “Shop the Look” Room Makeover Service! 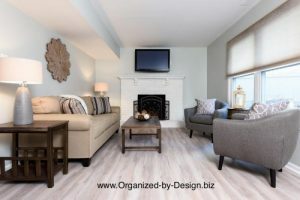 Knowing that home staging would increase the profit and decrease the time on the market, staging was included in the original plan for modernizing this home. 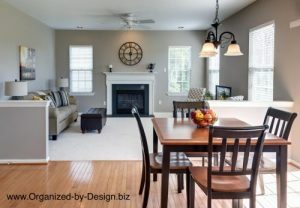 This typical Chester County two story colonial staged by Organized by Design, sold $25,000 over the average selling price for the neighborhood and $5000 over list price. 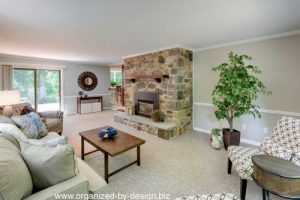 This family room home makeover started with a homeowner’s wish list of changes for the room.